Hunt Alaska's Chisana Valley. Located within the Wrangell St. Elias National Park and Preserve, this guide area, accessible only by aircraft, is 65 miles long and 55 miles wide.The Hard Park Boundary borders the area on two sides, and hunting is prohibited in the Hard Park. Due to the position of the guide area in relation to the Park's boundaries, moose roam freely into the hunting area out of the Hard Park and as a result there are some superb trophies to hunt.The moose here tend to be heavily palmed,mature and in their prime and success runs close to 100%.This is primarily a horseback hunt with spot & stalk hunting involved as well. Depending on weather, you will ride 4-8 hours per day and cover 6-15 miles on an average day's hunt.You will hunt in both the timber and at the timberline. Moose will not usually roam great distances but sometimes can be very hard to catch up with. The season runs the entire month of September. Early in September,moose will be in the timber and scattered throughout the valley. In late September, the moose will start to push up above the timberline. The bulls start to rut in mid to late September. The bulls here must be 50 inches or have 4 brow tines to be legal.This hunt can also be combined with other species such as Grizzly and/or Dall Sheep. Hunt the Western Alaska Range (Unit 19C).This area is a good producer with average bulls running around 60 inches. This hunt takes place in low timber country with scattered lakes,ponds and muskeg bogs. It's ideal moose habitat. Moose hunting is done on foot and calling is the primary method used to draw bulls to waiting hunters but some glassing is done as well. Hunts are conducted from a stationary camp or by floating the river. Success runs high and although moose hunts are not as physically demanding as sheep hunts, hunters should still be in reasonable physical condition to fully enjoy this hunt. Can also combine this hunt with Grizzly, Dall Sheep,Caribou and/or Black Bear. Hunt the southeastern part of Canada's Yukon in one of North America's prime moose hunting destinations. This remote wilderness area is immense (about 5 times as large as Yellowstone National Park), with only 30 miles of road and nobody living in it.This means that the animals probably have never seen a human and get to grow old. It also means that they are not spooked and therefore bow hunting is easier. 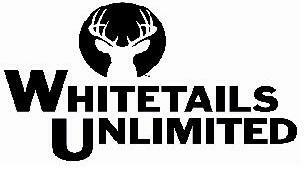 Even though the concession is huge,the hunting is limited to about 30 clients per fall. This allows for a more personalized hunt for everyone.You will travel from Watson Lake to the camp via float plane. From here your hunt will begin. Fantastic is the best word to describe the moose hunting here. Success runs 100% most years (92% success since 1986). Fully 80% of the harvested moose have 54-58 inch spreads and score between 180-200 B&C, with many taken in the 210-220 point range or better. Moose hunting is done best during the rut from September 10th through October 10th by boat. It is also done by horseback if you want to combo it with caribou or grizzly. Hunt thousands of square miles in north central B.C.The area, just outside of Prince George, is prime moose habitat with a mix of forest,alpine meadows and river drainages.The method of hunting is “spot and stalk” on foot or by river boat. Bull moose are quite common in the 40-50" range and shot opportunity usually runs close to 100%. Fully guided hunt includes meals, lodging and trophy care and can be combined with other species. Hunt the Kootenay region of southern B.C.This hunt for trophy Shiras moose will complete your moose slam.This area consistently produces 40-50” bulls with 55” plus bulls being a real possibility. Tags are very limited which helps to maintain a healthy population of trophy bulls.The archery season begins in September and offers bow hunters the chance to hunt the peak of the rut in early October. The rifle season begins in late October where snow and colder temperatures push bulls out of the more remote areas. The focus is on hunting cut blocks accessible by logging roads but horses are always ready and available to take you into remote drainages accessed only by horseback or foot for a more challenging hunt.Depending on weather conditions, hunters should be prepared for anything from marching the marshes to riding horseback or hiking into high alpine meadows. Success in the past has been 90% and since tags are limited,advanced booking is strongly advised. Hunt 2,500 sq. miles of the Williston Lake Region of north central B.C. Hunt from lodge in 4x4s glassing vast clearcut areas or access more remote spike camps on horseback. Success usually runs 100% during rut on bulls in the 40- 50" range.You can combine with other species including elk, black bear, caribou and goat. Hunt the Serpentine River valley in western Newfoundland.This area encompasses over 1,000 square miles and supports a very high moose population (approx. 10 moose per sq. km. ).With such a highly populated moose area, sightings are numerous and success typically runs 100%. Stay in a clean,comfortable lodge with great meals. Hunt northwest Newfoundland with a very small family run operation yet experienced outfitter. 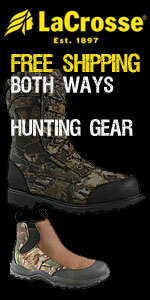 All hunting is done by foot with one guide for each hunter. Because of this method personalized trophy hunts can be provided with excellent success rates.There are a total of six lodges (five of which are accessible only by plane or helicopter). In addition, various remote “spike camps”are utilized depending on game movements and weather conditions. Limiting the number of hunters in camp to four per hunting period ensures a quality hunt with high success.